A western suburb located just 20 mins to Newcastle expected to exceed Sydney's metro capital growth. Dual property and land available from $772,600. The property images are illustrations and artist impressions only. Facades, textures & colours may vary. The house statistics relate to statistical information obtained from Residex Pty Limited and ABS Census 2019 statistics for Fletcher (NSW) SSC. See positive income calculation and assumptions here. 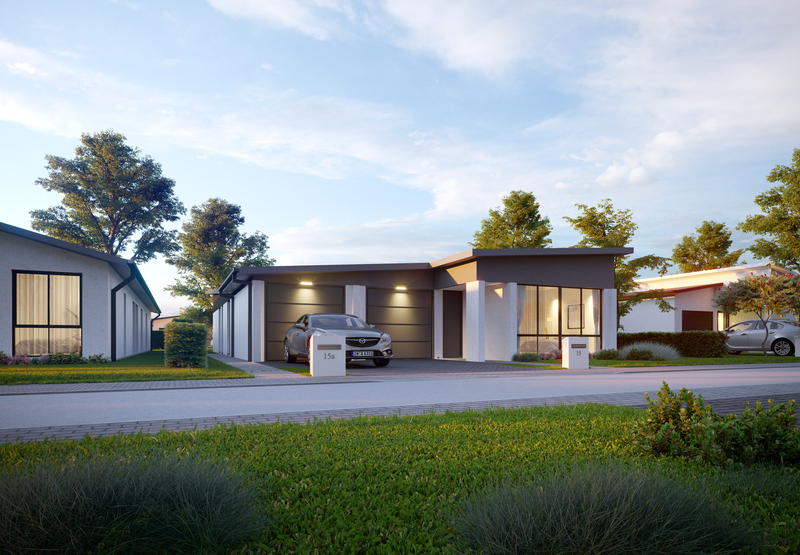 A growing outer western suburb located just 20 mins to the Newcastle CBD. Home to the state-of-the-art Kurraka Reserve and within easy reach of great shops, schools, cafes and beautiful beaches. Good area demographics, high incomes and predominently families seeking 4 or more bedroom dwellings. A brand new community centre with more than 44 hectares of beautiful community parks with cycleways, football fields, tennis and basketball courts. Easy access to public transport and major roads. Located within Newcastle’s major growth corridor where there is capacity for 18,000 residents. Development of the 2ha super-lot to increase education space, student accommodation and public area. Annual rent combined: $320 p/wk (rent 1) + $470 p/wk (rent 2) = $790 x 52 weeks. Interest only loan at 5.0% x $610,611. An initial purchase cost of $12,484 is needed to cover stamp duty, legal and loan fees and construction holding costs (approximate after tax). Mortgage insurance does not apply to this scenario. Property costs factor in a 2.5% vacancy rate; depreciation available only for new properties. Tax refund based on second highest tax bracket (37%) plus Medicare levy of 2%. Calculation based on the first year.